Lady Gaga is not just a gifted singer, songwriter, and musician … and now an Oscar-nominated actress for A Star is Born. She is also a cultural icon, and some of her top songs contain powerful cultural messages. Being gay or straight or bi or trans is exactly the same as being black or white or being from the Middle East or Asia. 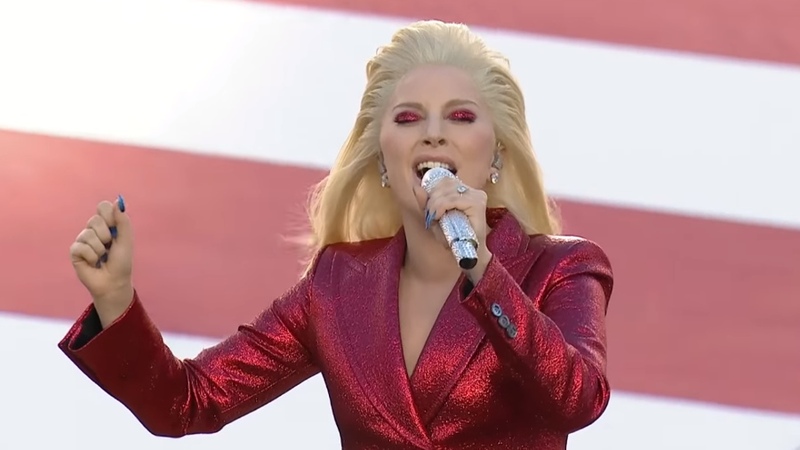 That’s why her powerful rendition of “The Star Spangled Banner” at Super Bowl 50 was considered to be a great victory for the LGBT community. She was their spokeswoman, a voice for the oppressed and the marginalized. They are not associated with any scandalous behavior — financially or sexually — and it is commendable, rather than contemptible, that the wife of the Vice President has gone back to teach at a children’s school. How common is that? From the viewpoint of the Pences — and hundreds of millions of Christians worldwide — it represents the extraordinary love of God, the indescribable compassion of the Savior, the matchless demonstration of the Lord’s grace. It speaks of a perfectly holy God who has the right to destroy each and everyone of us. But instead, in the person of His Son, He comes into our world and — who could imagine this? — dies for our sins. That is what we call the gospel. He not only reaches out to us, right where we are. He not only forgives us freely when we come to Him for mercy. But He sets us free from our sins. He changes us from the inside out — meaning, to the core of our being. But I quickly learned that substance abuse was not my big issue. The big issues were inside my own heart. And that is the power of the gospel. The love that you would discover — the peace and deep sense of fulfillment, and the joy in the midst of conflict — would surpass anything you have ever known. And it would help bring freedom and life to millions of your followers.